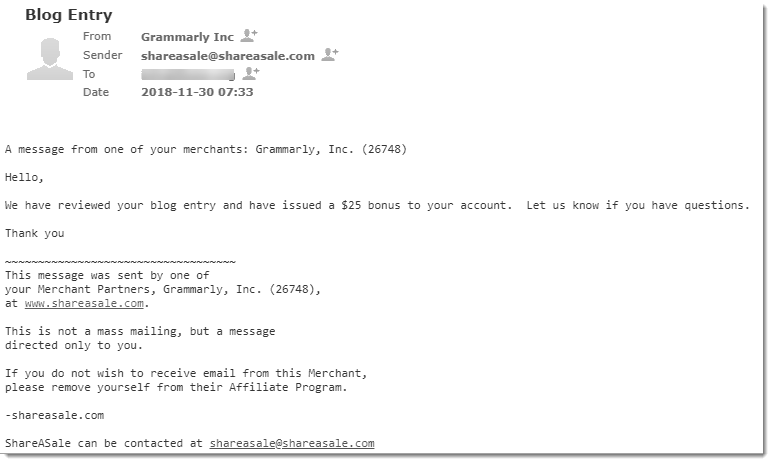 Home » Digital Product Reviews » Grammarly Affiliate Program: How I Earned $25 Within 20 Minutes in 2019! I hope that the title was Intriguing enough for you. At the end of this article, I can 100% guarantee that you will get a way to earn a quick $25 without any fuss! Grammarly affiliate program offers you an opportunity to earn easy money without any prolonged procedures. 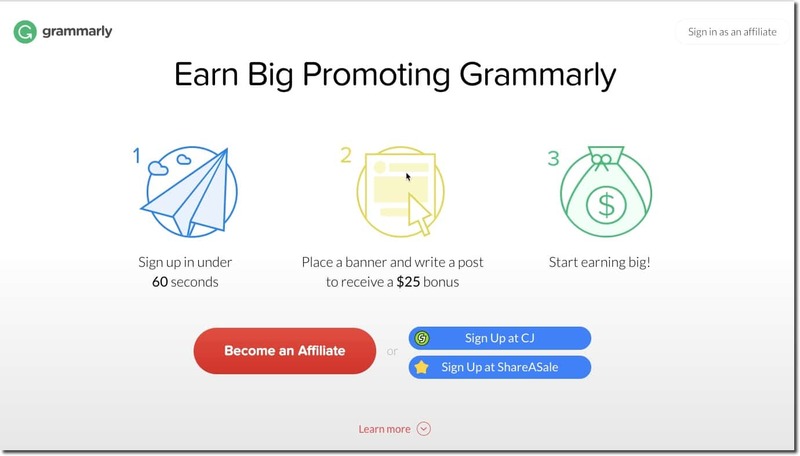 This article surrounds the pros and cons of Grammarly affiliate program review, but it also gives you a secondary option, i.e., share a sale. Another affiliate program. They both are equally beneficial ways for you to opt, but I personally feel that share a sale has more potential and can benefit you a lot more then Grammarly affiliate program can. Important note: Now that we are talking about affiliate programs we know that the income we get is in the form of commission. So, the Commissions that we receive vary from company to company. You need to know that there is no extra cost added for your reader or prospective customers. Let’s understand one by one the following affiliate programs. 2. Share A Sale Affiliate Program. While explaining to you about Grammarly affiliate program, I will be giving you a short review highlighting its pros and cons. So, buckle your seat belt because you’re in for a joyous ride! If you’re already a Grammarly user, you already know about its pros. What I would like to highlight is that Grammarly has a two-tier referral system model, so you can also promote their affiliate program and earn through it. Isn’t that exciting? As we are aware that Grammarly offers both free as well as a premium plan. If one of your readers uses your affiliate (referral) link and signs up for Grammarly ‘free’ version, you’ll be earning $0.20 per registration. When that reader chooses to upgrade for a premium version, you’ll get $20 per upgrade. What more does a person need? I mean you find customers who are in need of Grammarly sell them and in return earn a commission. Fun Fact: You will earn $25 activation bonus if you sign up for Grammarly Affiliate program and place their banner on your website. How? How am I supposed to pitch the idea to prospective customers? Well, A few suggestions if I may, on how you could pitch this affiliate link to the readers is that you could add them to your blog post having related topics. Pitch them well, and if they are interested and they are fond of Grammarly tool, then they might choose to upgrade to a premium version as well. Known Fact: Grammarly affiliate program also has a 90-day cookie window, it’s like 3 months. Isn’t that worth your time? Definitely value for money! If you are someone who has been doing this for a long time now and is a top performing affiliate, then you’ll get increased payouts. You’ll also get plenty of bonuses if you perform exceptionally well. If you can generate $2000 in sales/month, then you will receive a $200 bonus. Think this is manageable? Good news! If you can generate $4000, then you will get a $400 bonus, and for $8000 you will get $800 bonus. Fantastic isn’t it? They have excellent affiliate support as well, so if you ever have any queries or if you are confused about anything, feel free to message them anytime. How to promote through Grammarly affiliate program? (ii) Keep that Grammarly banner ad on your blog posts (They have creative banners to offer as well). That was all about Grammarly affiliate program. On to the share a sale affiliate program review. It’s quite approachable and straightforward. It’s also similar to Grammarly. The significant difference is that it has a lot more options available for us then Grammarly. There are some programs where you can apply directly from their websites such as Amazon Associates. 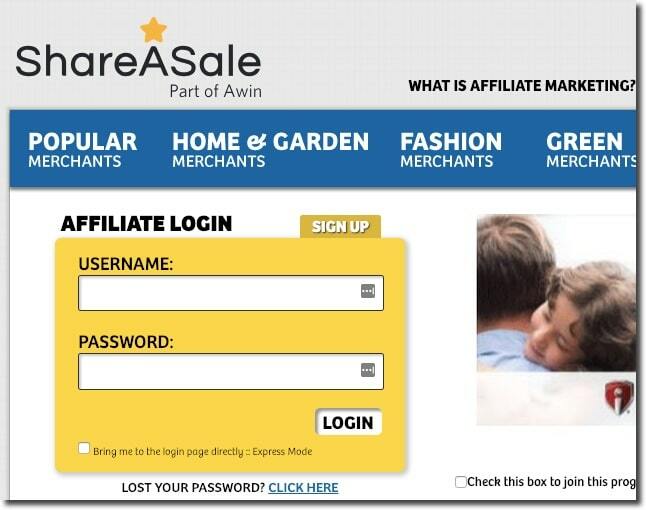 Then there are few where you are required to go through an affiliate marketing network such as ShareASale. Bonus: Plenty of programs require you to hold specific criteria of readers. But share a sale is an exception. You don’t need to maintain a minimum number of readers to apply for share a sale’s affiliate program. That extra benefit that I have been buzzing about for quite some time is this. ShareASale is an Affiliate Marketing Network. You can find a lot of products on ShareASale and apply to become an affiliate. Wasn’t this a bonus? Like where else are you going to find such an amazing deal? 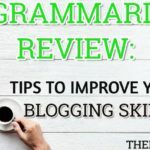 I’ve been using Grammarly for quite some time now, and I have all the positive things to share about it. It was a while when I had applied to Grammarly affiliate program through share a sale platform. After applying there was a waiting period of a week maybe and then I got my acceptance email. Basically, I was offered $25 upfront for reviewing Grammarly. The keyword mentioned in the email was immediate activation bonus. 3. Apply and get accepted for Grammarly affiliate program through share a sale. 4. Earn $25 for the review up front. 5. If you sell a Grammarly account, you will be looking at earning a commission of $0.20 for a free account and $20 for a premium account. Now, if you’re comfortable with selling affiliate products and you pull through this, then I believe you have the opportunity here to earn more instant cash by promoting more affiliate programs. 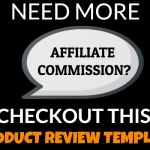 I hope this review has been a push for you to approach this new path of affiliate marketing. If you have any queries or if you have any insight on the following programs feel free to share them in the comment section below.